You’re dining with your friends, or work mates or have a date tonight and you know a bottle of wine will complete the evening. But the question is: Can you just pick one from the wine list? Chances are, what will happen is you will end up choosing either something completely out of your price range or one that sounds nice but you’ve never tried before. It's fine to be pleasantly surprised at a lucky pick, or you could squint horribly at that first taste. On top of all that, the last thing you want to do is completely butcher its name in front of everyone. There’s no shame in preparing yourself a little before you go out. First of all, every restaurant is bound to have the menu on their website. Therefore you could take a peak at the wine list and could even do a little research on a few. Deciding on the wine can take a while, so if you’re prepared and ready when you arrive, you can order it immediately and show everyone how well you know your wines. If you want to really look like a pro, you can also look at the pronunciation of the wine. ​Wines have such complex and multi-lingual titles that it’s impossible to know or remember how they’re all pronounced. So once you’ve decided on the wine, look it up. You can find wine names and their pronunciation to help you practice. However, if you find yourself obliged to make a decision, there’s nothing wrong with asking the sommelier for a little guidance. The sommelier is the wine specialist that created the wine list for the respective restaurant so he/she should be professionally ready to recommend the best wines suited for you. Try to remember the following four main questions when talking to them. 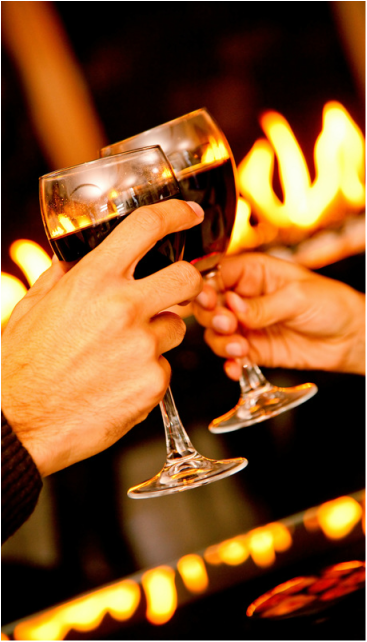 By knowing these specifics, they will determine what wine is best suited for the occasion, for you and for your guests. Asking these four questions will allow the sommelier to depict exactly what you have in mind and give you the best recommendation from their wine list.